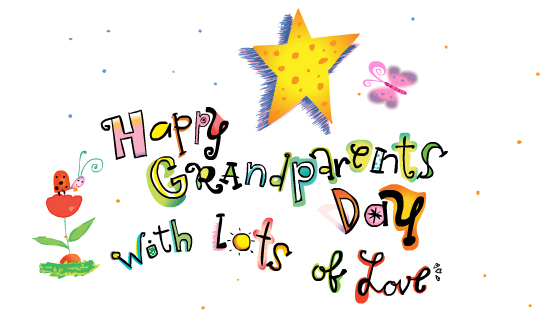 Did you know Sunday 4th October marks the yearly celebration of Grandparents day? To make this year’s Grandparents Day the celebration it should be, start planning today. You could bake a cake, draw them a picture or make them something extra special. Here at Masterflex, 3 members of staff are grandads and will hopefully be spoilt this weekend. It’s business as usual for the rest of the staff, so give the office a call to get a quote, sample or to make a purchase. This entry was posted in Antistatic & Electroconductive hose, Chemical - food & pharmaceutical, Microbe & Hydrolysis-Resistant Hoses, Paper, Printing and Packaging, Street cleaning leaf and grass collection, Woodworking Industry and tagged abrasion resistant hose, air and ventilation hose, Chemical Ducting Fume Extraction, DUCTING, Ducting Connecting Systems, Ducting Exhaust Extraction, Ducting PU Hose, ductings, Dust extraction hose, dust extraction hoses, Dust Extraxction Ductings, Exhaust Extraction Ductings, Exhaust Extraction Hose, exhaust fumes removal, flexi ducting, Flexi Ducting Hose, Flexi ductings, flexi hose, Flexi Hoses, Flexible ducting, flexible ductings, Flexible hose, Flexible Hose Polyurethane Ducting, flexible hoses, FlexiHose, Fume Extraction Ductings, Fume Extraction hose, High temperature ducting, High Temperature Ductings, High temperature hose, High Temperature hoses, hose, hoses, Masterflex technical hose ltd, Masterflex technical hoses ltd, Polyurethane ducting, polyurethane ductings, Polyurethane hose, polyurethane hoses, PTFE Ducting, PTFE Ductings, PTFE Hose, PTFE Hoses, PU DUCTING, PU ductings, PU hose, PU hoses, PUR hose, PVC ducting, PVC ductings, PVC Flexible Ducting, PVC Flexible Ductings, PVC hose, PVC hoses, Silicone Ducting, silicone ductings, Silicone Hose, silicone hoses, suction and transport hose, templine Heated Hoses, Weld Fume Extraction, Weld Fume Extraction Hose. Bookmark the permalink.